Learning electronics, making circuit never got easier! 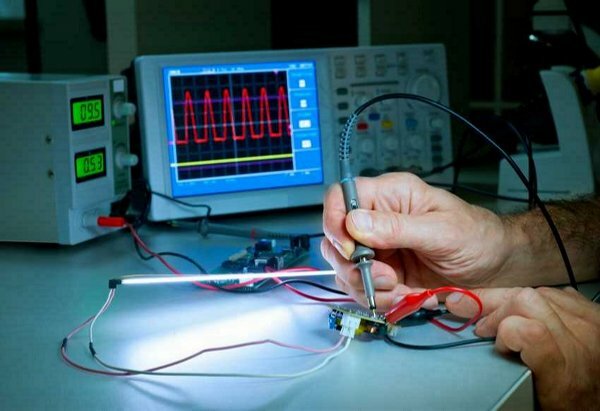 If you are a student or electronics hobbyist and interested in experimenting with electric circuits or an instructor who is willing to test electric circuits to teach in class room, DCACLab is an online circuit builder who is capable of building DC/AC circuits, you can build circuits with batteries, resistors, wires and other components, then compute Volt, Ampere, Ohm between at any component or connections nodes at board. Use the components of the virtual lab to exercise practical skills, including operating the circuit using the circuit breaker, testing the capacitor using the multi-meter, locating a short circuit, connecting and operating a basic lighting circuit, and troubleshooting a transformer through continuity measurement. 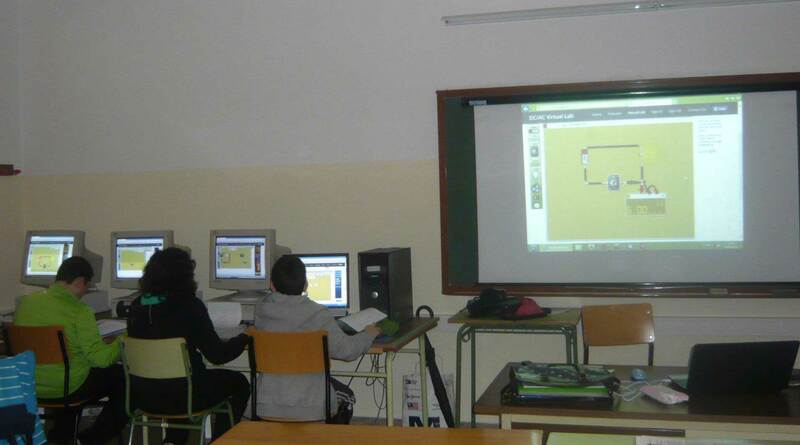 Why do thousands of students & teachers around the world use DCACLab? We believe that K-12 student would enjoy playing with circuit components as a game rather than classical schematics. Rather than analyzing circuit for a specific time domain, watch continuous plotting of current and voltage at real time. Helps the teacher to create online activities and share them with his students, much more useful than static presentation. 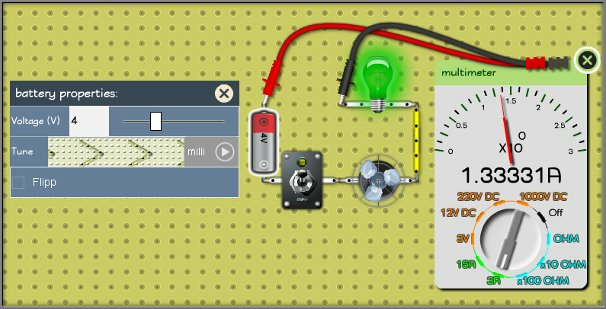 Build your circuits with realistic behavior of actual electronic devices and circuit components like current flow, lighting & burnout. 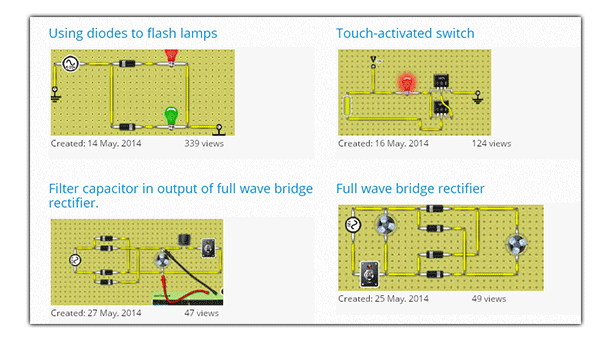 Build, Simulate, Measure circuits easily and instantly using flexible wires just like working with the real circuit. You can set your created electronics circuits to be viewable, sharable, tweetable with all the world. 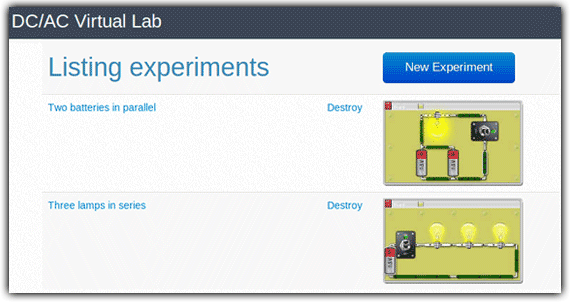 It’s a great educational tool that enables teachers to explain circuit fundamentals & experiments to the students by viewing the lab on the class and electronic lab interactive whiteboard. It is a perfect companion to hobbyists, with its user-friendly interface and fast simulation engine they can create electronic circuits and project prototypes before they implement it in the real world. Essentially, a virtual lab contains the look and feel similar to that of a hands-on lab. Its design factors and content are carefully considered to fit the level of learners and provide a high degree of realism. A virtual lab is, therefore, part of a lesson that should be used for observational and data collection purposes. It may be immersed in the content of instruction alongside relevant concepts plus other teaching aids such as animations.